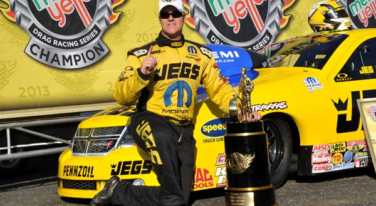 All of his hard work paid off as Jeg Coughlin Jr. claims the 2013 Mello Yello Pro Stock Championship. The end of the 2013 NHRA Mello Yello Season at the Auto Club NHRA Finals at Auto Club Raceway at Pomona brought with it two new champions, the retirement of others, and the crowning of the four drag racing champions at the Hyatt Regency Century Plaza. 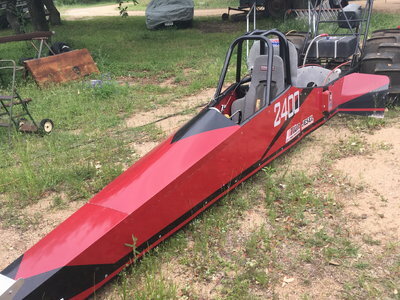 Shawn Langdon showed up in late January at the former Firebird International Raceway five years ago, fresh off his second NHRA Lucas Oil Super Comp world championship in preparation for a new career in the Top Fuel class with Morgan Lucas Racing. 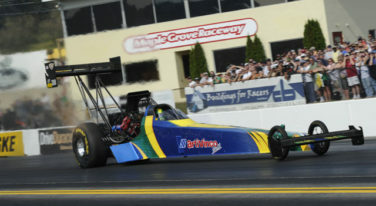 Two of the four NHRA Mello Yello Championships wrapped up at Sunday’s Toyota NHRA Nationals with newly crowned champions, John Force and Matt Smith claiming race wins in front of the standing room only crowd on The Strip. 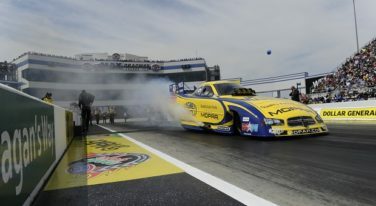 NHRA Funny Car’s John Force and Top Fuel driver Shawn Langdon both widened their points leads and edged closer to world championship titles by racing to victories on Sunday at the 29th annual Auto-Plus NHRA Nationals at Maple Grove Raceway.